To excel in the highly demanding, ever-changing healthcare market doesn’t simply require technical skills (clinical skills for providers; business skills for administrators, etc. ); it equally requires self-management and interpersonal skills. A study by the Dale Carnegie Foundation revealed that 15% of our success is due to our technical skills and about 85% is due to our ability to lead and work with people and to manage ourselves effectively. Our technical skills certainly need continual development. However, they are not necessarily the “one thing” that will make or break our career. In other words, our intellect, or IQ, is no longer the standard for success. A study of 95 Harvard students in 1940s who were followed into middle age demonstrated that those with the highest IQ scores did not have greater life satisfaction, the most happiness with family and friends, or the highest success in their career. We now understand that Emotional Intelligence, or EQ, has been found to be the better yardstick to measure success in both a professional and personal life. 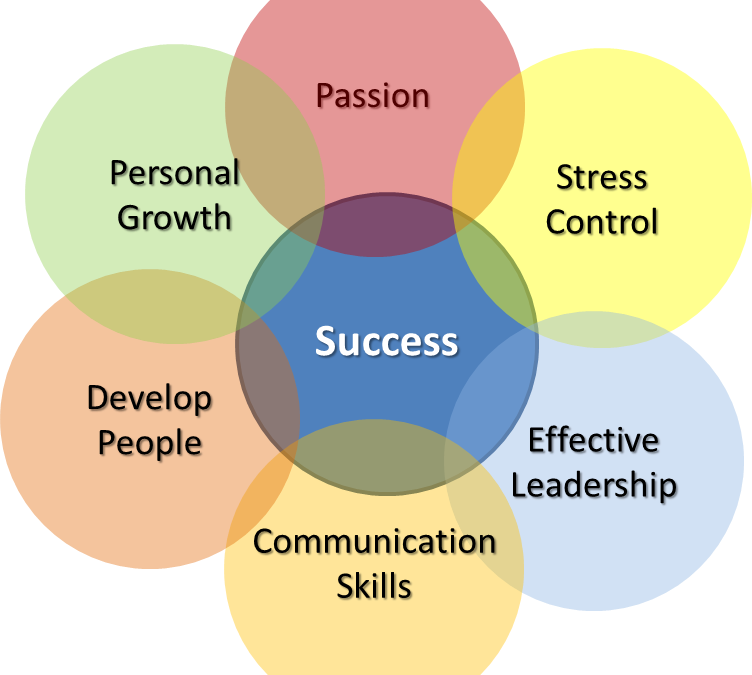 So what characterizes successful professionals? The following six tips will help you become more effective, regardless what position you have. Your passion is that particular something you instinctively know will keep you fulfilled, an intense inner desire that makes you feel amazingly alive when you act on it. This energy and enthusiasm have a huge effect on the people around us and the efficiency of our work. Individuals who feel passionate about what they do create more change and progress than people who perform their job only to receive a paycheck. Stress can’t be eliminated from life – it will always be here! Part of stress is self-induced by thought patterns and behaviors; other types of stress are external, and we can do little about it. Stress control is developing a certain awareness of internal and external circumstances and choosing to respond, rather than react. In life – no matter what position we are in – we always have the choice to be a leader or to be a follower. Sometimes it is good to be the leader; sometimes it is good to be a follower. Because many of us have no formal training in leadership, it is important to understand what it means to be a leader as well as how to mentor others to be leaders. Supporting the development of effective leaders is the key to success. The future of an organization and the quality of care and service provided to patients depends on the effectiveness of leadership. Healthcare is a “relationship and people” business; its success depends on effective communication. When its process is fraught with error and messages are misinterpreted, communication wears us out and causes confusion, creating roadblocks that stand in the way of goals and missions. Communication only has power if we find a solution and move forward. Healthcare is based on the human connection: communication is its foundation. For teams to be successful, they must develop a trusting and respectful relationship. A team gets stronger when good behavior is modeled, new team members are mentored, results are monitored, and good behavior is rewarded. By rewarding success, we develop individuals that focus on performance improvement. Effective leaders proactively develop team members and coach them to maximize their potential. Devoting yourself to personal growth is a key ingredient for your success! After all, your outside world – the organization, the staff you work with, even your family – are always a reflection of your inside world. Personal growth equals change. To develop, we must often step away from comfort and welcome fresh and challenging experiences. Growth demands a temporary surrender of security: giving up familiar but limiting patterns, safe but unrewarding work, values no longer believed in, or relationships that have lost their meaning. Let them go; perhaps even sweeter rewards are waiting for you to create space for them in your life.